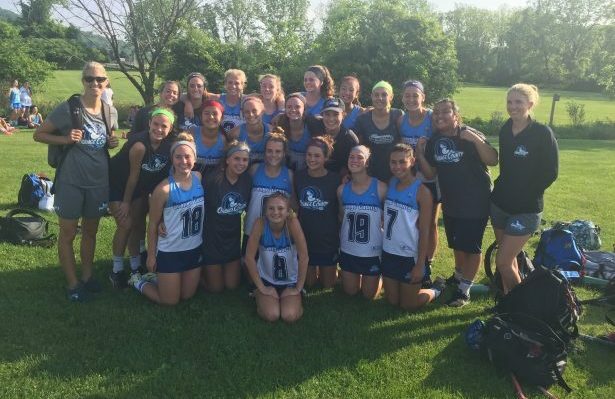 The Orange County Girls Lacrosse National Tournament Team returned home from the US Lacrosse National Tournament with an impressive 3-1 record. Nearly 70 teams from across the country, playing in seven divisions, participated in the annual event at Lehigh University in Bethlehem, PA. Orange County, which featured 22 of the top high school players from the area, tied Maine for the best record in Pool A of the Cayuga Division. The full roster is presented at the bottom of this article. A 15-4 victory over NorCal on Sunday completed tournament play. Just as they did last year the team also found time to participate in a community outreach while in Pennsylvania. This year they donated diapers, bath supplies and personal items to the Sixth Street Shelter for families in Allentown, PA. The National Tournament Team participated in a community outreach event at the Sixth Street Shelter in Allentown, PA.